What Do Pediatricians Tell Parents About Bed-Sharing? Background and objectives Despite the risks of bed-sharing, little is known about what pediatricians tell parents about bed-sharing with infants and whether pediatricians provide specific recommendations outlined by the American Academy of Pediatrics (AAP). This study aimed to understand pediatricians’ opinions about bed-sharing and the advice pediatricians provide to parents about bed sharing. Methods The study employed a qualitative study design and the conceptual framework of the Theory of Planned Behavior. 24 primary care pediatricians from a variety of practice settings were interviewed about the anticipatory guidance they provide to families whose infants are in the at-risk age group for SIDS. Results Pediatricians’ opinions about bed-sharing differed widely both with respect to identifying bed-sharing as a topic they routinely address in anticipatory guidance as well as in what they tell parents about bed sharing. Some strongly and routinely advise against bed-sharing and identify bed-sharing as a clear risk to infants. Others believe bed-sharing to be both safe and useful. A third group allow the content of anticipatory guidance to be driven by parental concerns. Most pediatricians are clearer in their recommendation to place infants supine to sleep than in their recommendation to avoid bed-sharing. Conclusions Overall, there is considerable variation among pediatricians in the advice they provide about bed-sharing, and most advice is not congruent with the AAP recommendations. Additional efforts to educate pediatricians may be necessary to change attitudes and behaviors with respect to anticipatory guidance about safe sleep. We would like to thank our colleagues John M. Leventhal, MD and Eugene Shapiro, MD from Yale University School of Medicine who provided insights and comments on our manuscript and figures. Centers for Disease Control & Prevention. (2014). About Sudden Unexpected Infant Death and Sudden Infant Death Syndrome. Retrieved from http://www.cdc.gov/sids/aboutsuidandsids.htm. Centers for Disease Control & Prevention. (2017). PRAMS Data to Action Success Stories. Retrieved from https://www.cdc.gov/prams/dta-successstories.html. Health Resources & Services Administration. (2017). Perinatal and Infant Health. 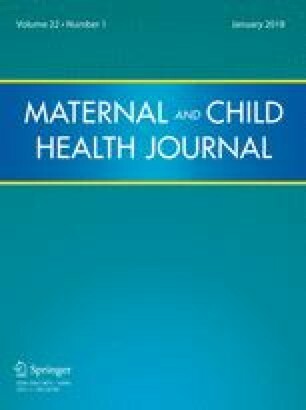 Retrieved from https://mchb.hrsa.gov/maternal-child-health-topics/perinatalinfant-health. National Institute of Health. (2017). Safe to sleep public education campaign. Retrieved from https://www.nichd.nih.gov/sts/Pages/default.aspx.